At Journey Birth Services we respect the privacy and confidentiality of your health information. We are sincere in our promise to ensure the confidentiality of your information in a responsible and professional manner. We also are required by law to maintain the privacy of your protected health information, to provide you with this notice and to abide by its terms. This notice explains how your medical information may be used and shared with others involved in your health care. It also informs you about your rights as our valued customer and provides information about exercising those rights. For Treatment: We may share your information with other staff members, midwives, laboratories, technicians, physicians or other health care workers to help them provide medical care to you. For example, we might consult with a doctor for suggestions that could help improve you or your baby’s health. If you are transferred to a hospital during labor we may give them access to any medical records we hold that would assist them in providing you with needed health care. For Office operations: We may use or disclose your health information in order to run the office efficiently and ensure that you receive quality care. For example, we may have office personnel contact you as a reminder that you have an appointment. Office personnel may also use your information to contact another provider office to initiate consultations, arrange appointments or otherwise assist us with managing your health care. We may use your health information to evaluate the performance of our staff in caring for you. We may report information to state and federal agencies that regulate us, such as the Wyoming Department of Health and Human Services. Vital Records must be provided with certain information in order to file a birth certificate for your baby. For Payment: We will use the information to make claims to your insurance carrier to collect payment for medical bills which are covered by your health plan benefits. We may also share your information with individuals who perform business functions for us, such as billing services. We will only share your information if there is a business need to do so and if our business partner agrees to protect the information. If we use or disclose your information for any reasons other than the above, we will first get your written permission. If you give us written permission and change your mind, you may revoke it in writing at any time. We will honor the revocation from that date forward with the exception of already disclosed information based on your previous permission. 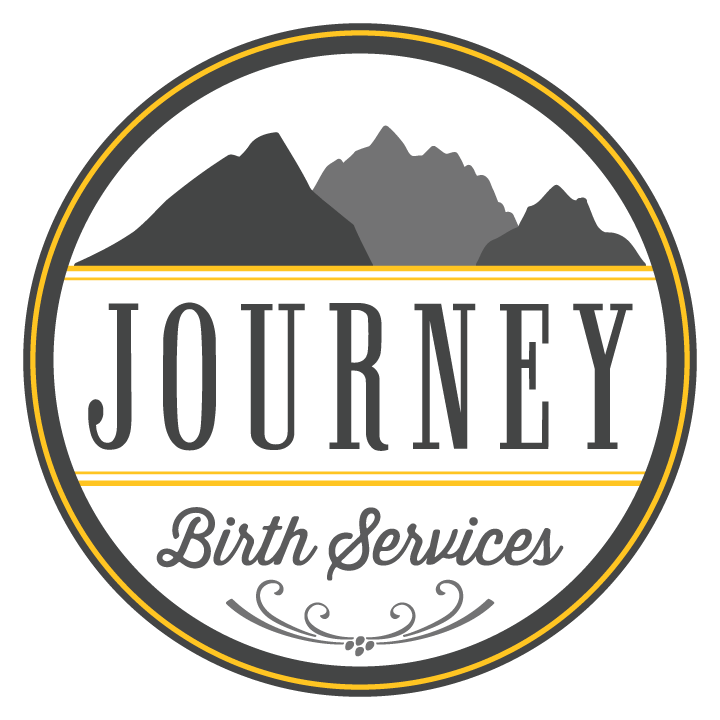 At Journey Birth Services we purposefully endeavor to create an atmosphere of community for our birthing families. Relationships between clientele are encouraged through classes, support groups and community events. Even our prenatal scheduling practices are designed in a manner that enhances the probability of meeting other families who are due to deliver in similar time frames. All of these factors make it more difficult to provide certain aspects of confidentiality. By choosing Journey Birth Services you are acknowledging and accepting that possibility. There are special situations that may require us to release your health information to others. Law Enforcement: We may be required by a court or administrative agency to provide information because of a search warrant or subpoena. Public Health or Safety Risks: We may report health information to public health agencies if we believe there is a serious health or safety threat to you or the public. For example, we are required to report when we believe there has been child abuse or neglect or domestic violence that threatens you or your baby’s health. Information Not Personally Identifiable: We may use or disclose health information about you in a way that does not personally identify you or reveal who you are. For example, in the preparation of birth statistics for organizations such as the Midwives Alliance of North America or in state mandated peer review. Family and Friends: We may disclose health information about you to your family members or friends if we obtain your verbal agreement to do so or if we can infer from the circumstances, based on our professional judgement that you would not object. For example, we may assume you agree to our discussing your personal health information in the presence of your spouse, friend or family member when you bring them with you into the room during a prenatal or during labor and delivery. We may, using our professional judgment, assume that it is in your best interest to disclose to another family member or friend when you are not capable of giving consent due to incapacity or when you are not present for other reasons such as transfer to the hospital. In that situation, we will disclose only health information relevant to the person’s involvement in your care or emotional needs. For example, we may inform a person who accompanies you to the hospital by providing updates on your progress. We may determine that it is in your best interest to allow another person to act on your behalf by picking up filled prescriptions or supplies or to contact other people in your identified network of support. Cord Blood Collection (or other organ and tissue donation): When you have pre-arranged for cord blood collection we may release health information to organizations that handle the procurement or to any other organizations necessary to facilitate pre-arranged donations. Military, Veterans, National Security and Intelligence. If you are or were a member of the armed forces, or part of the national security or intelligence communities, we may be required by military command or other government authorities to release health information about you. This also applies to foreign military personnel in this country and required reports to foreign military authority. Workers’ Compensation: We may report health information on job-related injuries because of requirements of your state worker compensation laws. Incidents of Loss: In very rare cases where there is fetal death during pregnancy, parents may choose to continue with their plan to labor and deliver out-of-hospital. Information may be disclosed to Coroners and Medical Examiners to procure a death certificate and to Funeral Directors to assist with making funeral arrangements. If we use or disclose your information for any reasons other than the above, we will first get your written permission. If you give us written permission and change your mind, you may revoke your written permission at any time. We will honor the revocation except to the extent that we have already relied on your permission. Note: If we disclose information as a result of your written permission it may be re-disclosed by the receiving party and may no longer be protected by state and federal privacy rules. Restrictions of Disclosure: You have the right to ask us to restrict how we use or disclose your information for treatment, payment or health care operations. You can opt to pay out-of-pocket for a procedure without disclosing it to your medical insurance. You may opt out of receiving fund-raising information. Your information will not be sold without your authorization. You also have the right to ask us to restrict what information we may give to persons involved in your care. While we may honor your request for restrictions, we are not required to agree to these restrictions. Federal or state law may restrict re-disclosure of additional information such as HIV/AIDS information, mental health information, genetic information and drug/alcohol diagnosis, and treatment or referral information without your written consent. Confidential Communications: You have the right to submit special instructions to us regarding how we send information to you that contains protected health information. For example, you may request that we send your information by U.S. Mail only to a specified address or to call a specific phone number. We will accommodate reasonable requests. You are not required to give us the reason for your request. However, we may require that you make your request in writing. compiled in reasonable anticipation of , or for use in a civil, criminal or administrative action or proceeding. Sent to us by other health care providers. In most cases you must obtain those records directly from the health care provider who generated them. We may deny your request to inspect or copy records in certain limited circumstances. You may ask that any denial be reviewed. If the law gives you a right to have our denial reviewed, we will select a licensed health care professional to review your request and our denial. The person conducting the review will not be the person who denied your request, and we will comply with the outcome of the review. We did not create (unless the person or entity that created the information is no longer available to make the amendment themselves). Disclosures: You have the right to receive an accounting of certain disclosures of your information, if any, made by us during the six years prior to your request. The accounting may not include allowable disclosures already noted above as well as any made prior to April 14, 2003 when record keeping of this nature became legally regulated. The name of the researching body. A description of the research protocol or activity including the purpose for the research and the criteria for selecting particular records. A description of the type of protected health information that was disclosed. The date or period of time when such disclosure occurred. The name, address, and telephone number of the entity that sponsored the research and researcher to whom the information was disclosed. You have a right to receive a paper copy of this notice upon request at any time. You can also view a copy of the notice on our website at www.journeybirthservices.com. Should any of our privacy practices change, the terms of this notice may change. Once revised, we will notify you that a change has been made if you are still in our immediate care for a current pregnancy. If you have any questions about this notice, please contact the office at (307)622-1511. You have the right to file a complaint with us if you believe your privacy rights have been violated. We will not retaliate against you for filing such a complaint. If you feel our response is unsatisfactory you may also file a complaint with the Secretary of the Department of Health and Human Services.